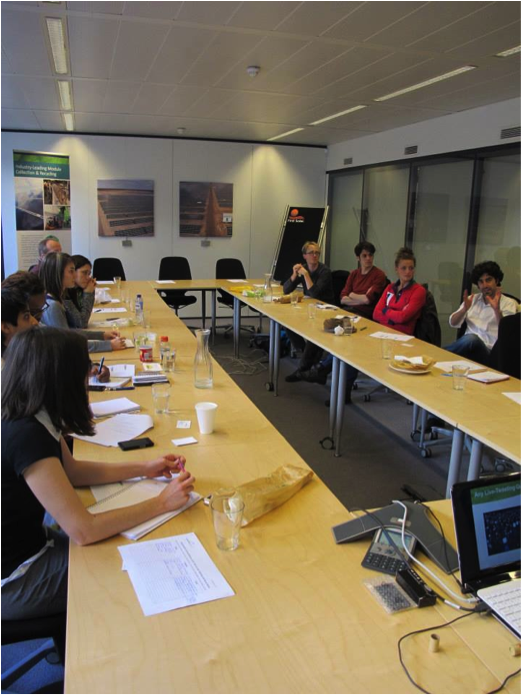 January’s interactive Sustainability Communications Lunch made clear that many Brussels-based sustainability communications professionals were keen to discuss social media in more depth. At this month’s Lunch, I gave some tips on how to tweet with a purpose, before inviting attendees to engage in a more wide-ranging debate. Live-tweeting, something which I have previously written about for the Thoughtshower blog, was the main topic of discussion. My recent blog post was republished by PR Daily and got good pick-up on social media. Although the advice in that post was fairly basic and targeting a professional audience, it struck a chord with many other people – many of whom thanked me for providing tips in time to live-tweet the Super Bowl! At this month’s Lunch, I expanded on my five basic tips – use the hashtag, tag relevant accounts, engage with others, don’t over-tweet and take pictures. After presenting on the benefits of social media management systems like Hootsuite for scheduling posts and for media monitoring, the floor was opened up for debate. Topics discussed included Follow Fridays, when to use hashtags, the difference between an automatic and manual retweet and how useful Facebook and Twitter adverts really are. Much of the debate centred on what to tweet about and how to justify time spent on social media to clients or colleagues. At Sustainability Consult, we believe it is essential to draw up a social media strategy and agree with the client on clear guidelines about who to follow, what to post about (and what not to post about) and how often. This initial work will save time in the future, provides clarification and reassurance and ensures that you are not tweeting in a vacuum, but having a clear, authoritative voice when engaging your community online. The next Sustainability Consult Lunch is scheduled for Monday 24 March. We’ll send more information over closer to the date. Thanks to everyone who attended and asked interesting questions in what was a very fruitful session. 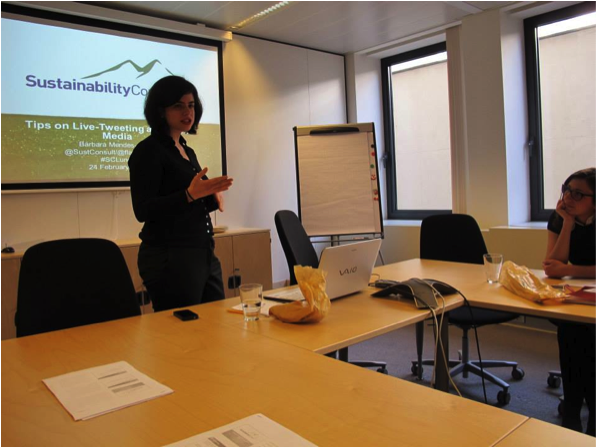 Blog by Bárbara Mendes-Jorge, Junior Consultant at Brussels-based sustainability communications and PR agency Sustainability Consult. Sustainability Consult offers social media packages alongside a range of other sustainability communications and PR services. For more information, check out our website. CSR Experts: Should We Get Rid of CSR?